We’re just five weeks into our five-month journey. We’ve only hitched the fifth-wheel to the F-450 four times including the day we drove it off the sales lot. Essentially, we got our forty-three foot house set up in Phoenix and didn’t move it. We are rookies. Now the real RVing adventure begins in California. 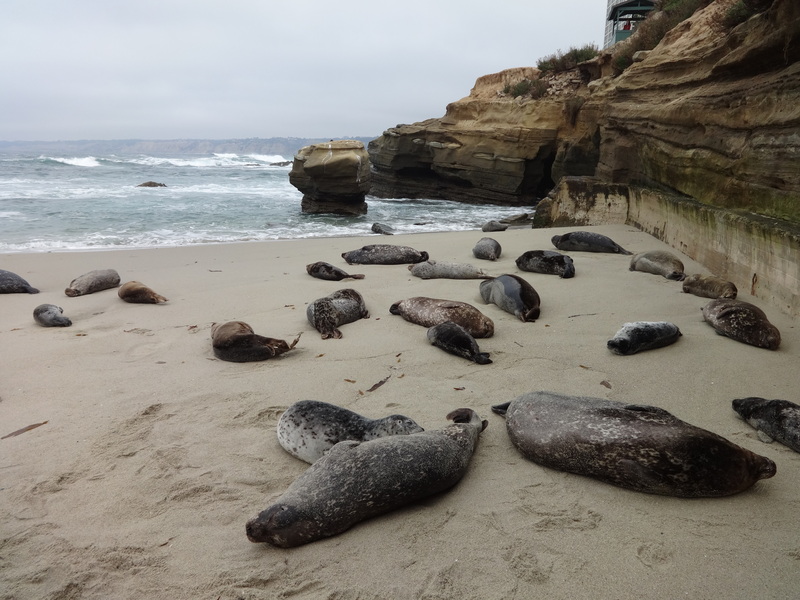 We will RV Park hop every week or so to a new location beginning in San Diego. 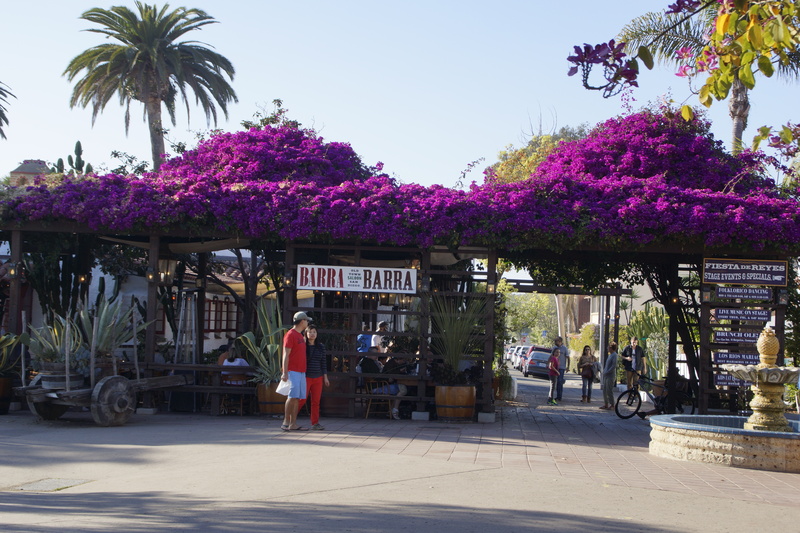 That includes driving in California traffic, maneuvering down narrow streets lined with parallel-parked cars, and weaving through tree-lined RV parks to back into our assigned site. We are apprehensive but excited. I was exhausted from deep chest coughing and blowing my nose. After John and I returned to Phoenix from Colorado, I crawled to Urgent Care with bronchitis and laryngitis. The doctor prescribed me Augmentin and coughing pearls remarking that the nasty stuff was going around. I didn’t have the heart or the voice to tell her it was probably a symptom of the major stress in my life. Aside from emptying a box of tissues, the drive from Arizona to San Diego was uneventful. John’s youngest brother gifted us with an RV Trip Wizard iPad app for Christmas that’s a Godsend. It takes into account our overall height and length and determines the best driving route assuring we won’t end up on roads with low-hanging power lines or low clearance overpasses. 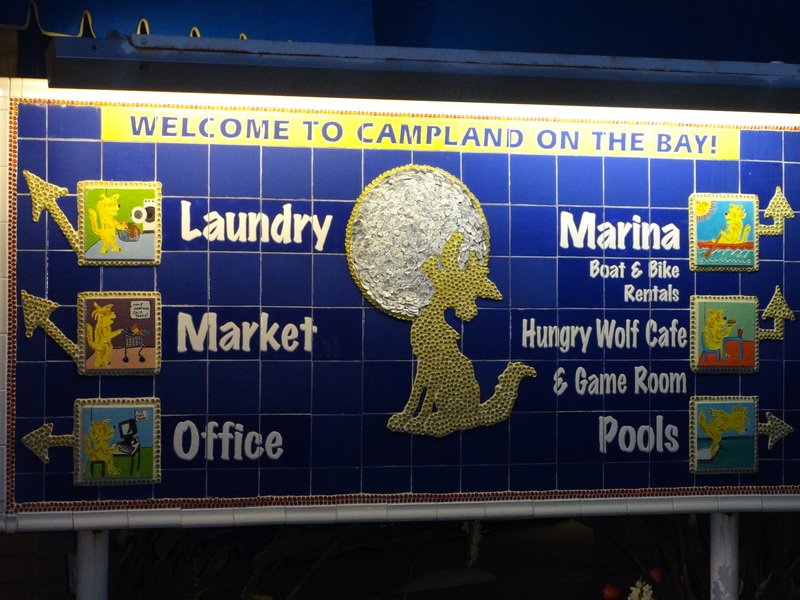 The sweet, female voice directed us straight to Campland on the Bay. I’m convinced women make excellent backseat drivers. John, not so much. 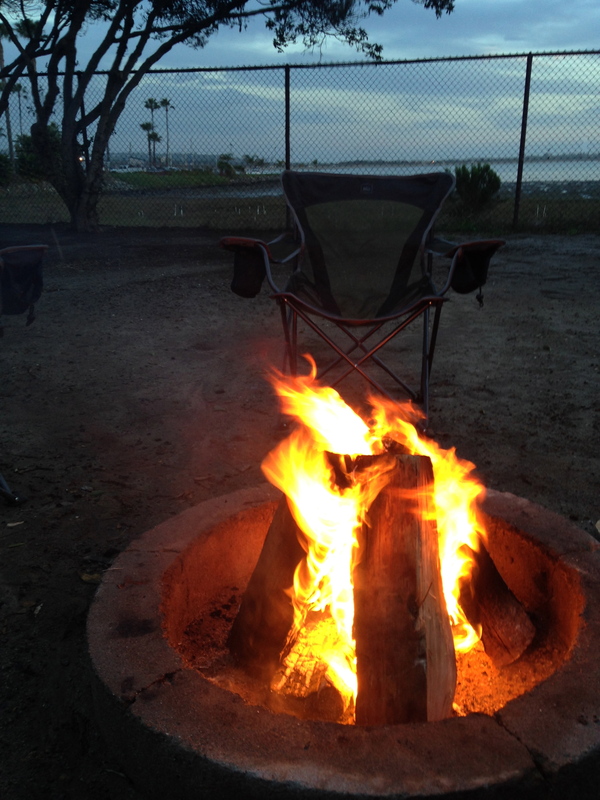 The San Diego RV Park included a view of Mission Bay and approved campfires. Oh how I do love me a campfire! I bought two bundles of overpriced firewood from the RV Park market within moments of getting settled into the campsite. I opted not to burn the street sign that fell from the post when John clipped it with the RV. I didn’t think the custom painted tiles would burn well. 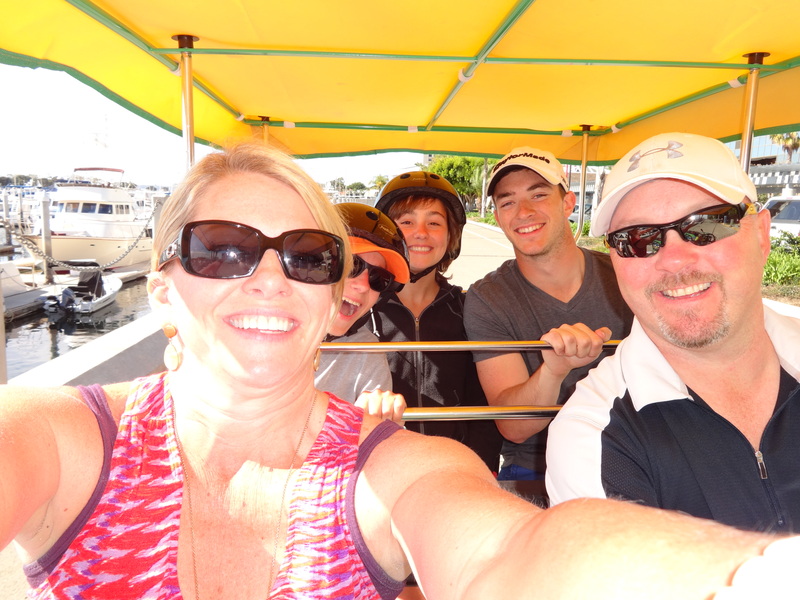 We ventured over to Old Town San Diego and caught the trolley for a tour of the city. I love to get an overview of a city when I first arrive and then decide which are my favorite places to revisit later. I especially liked Horton Plaza and the Gas Lantern district. We spent a couple of days at the beach people watching, throwing the football, digging in the sand, watching the Navy planes fly overhead, and napping. Perfect, really. 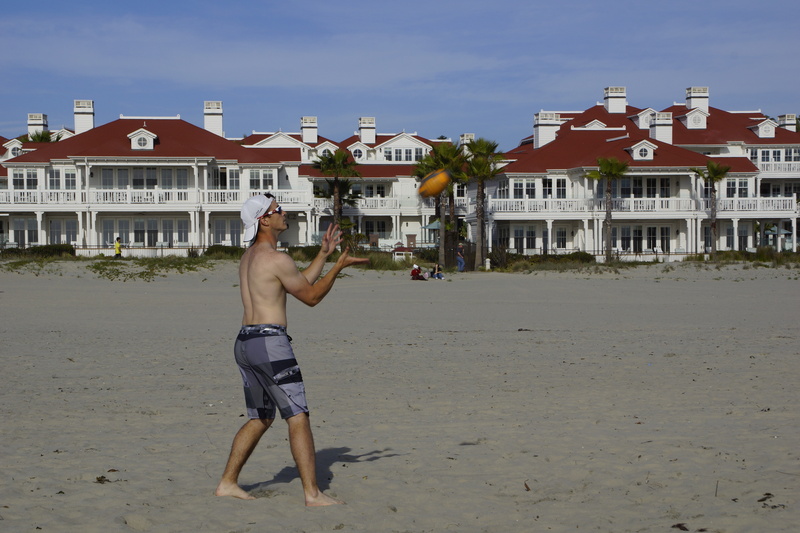 Love Coronado Island. 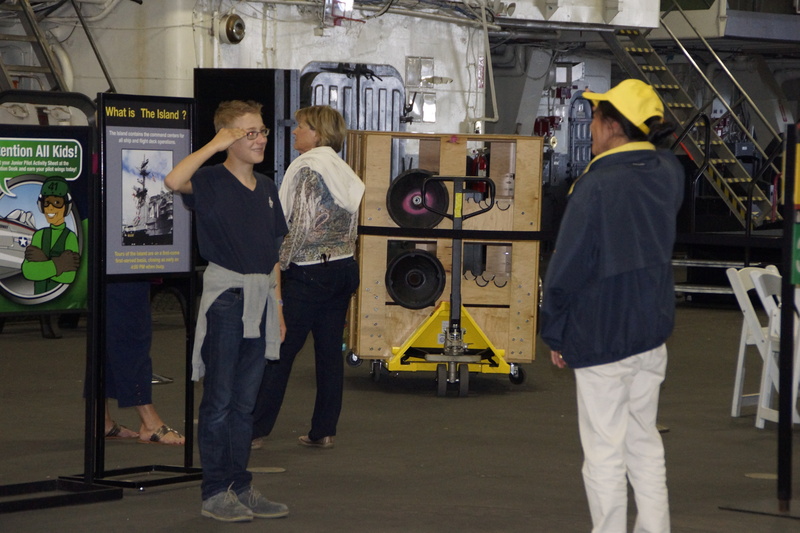 We toured the USS Midway. 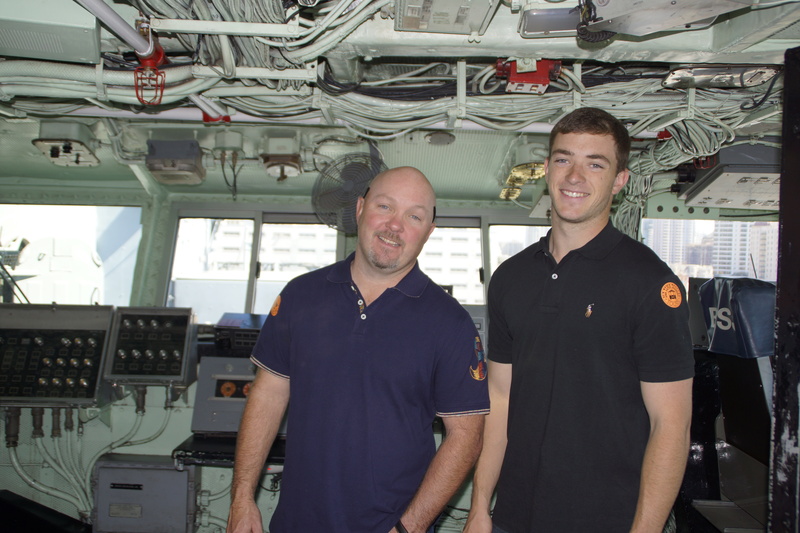 I felt honored that veteran Navy men guided us around the decommissioned ship offering real-life information. 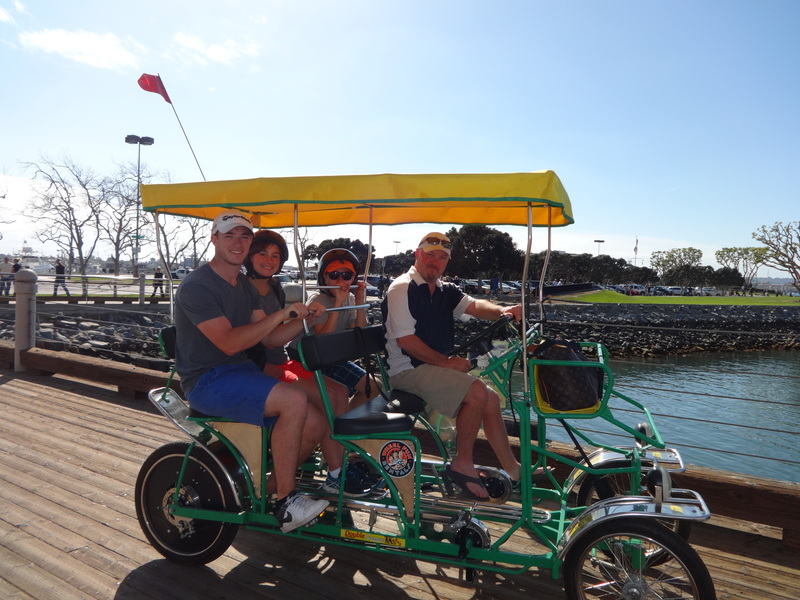 We rented a six-passenger bicycle and pedaled along the boardwalk and around downtown San Diego.The spontaneous activity, gorgeous weather, John’s adventurous steering, kids giggling, and Blake’s wit, left me feeling so satisfied and happy. Favorite city memory. 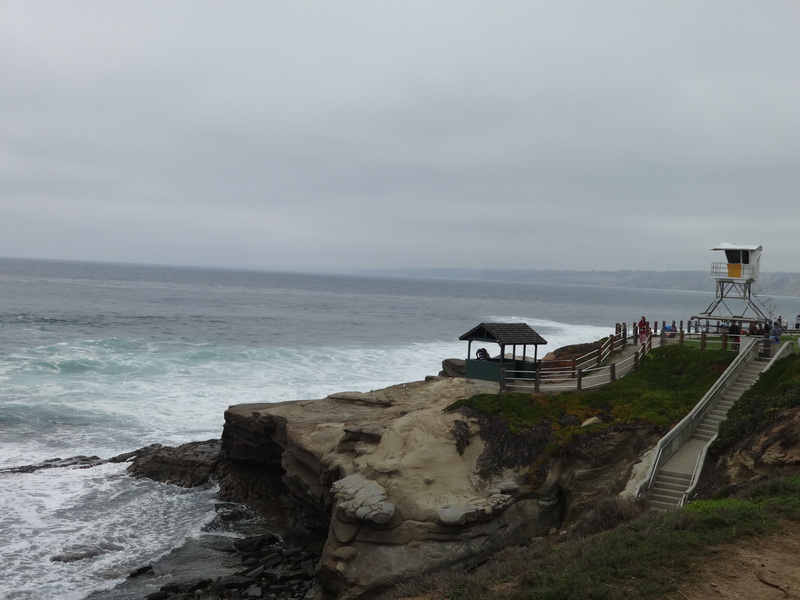 We ventured over to La Jolla and got up close and personal to the sea lions. 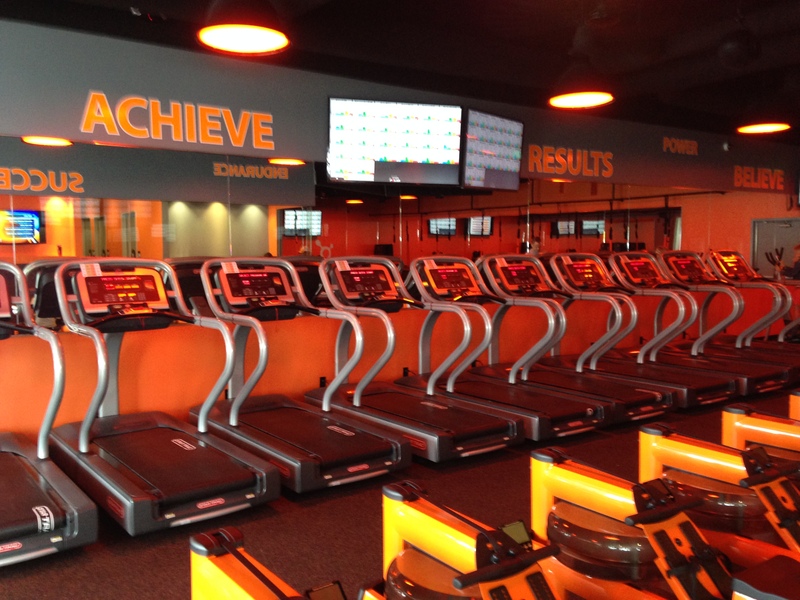 We sought out the local Orange Theory and got back in the gym. With Blake’s foot and knee healing and the recent bird attacks, I was anxious to get my heart pumping and bronchitis toxins out of my body. We joined Orange Theory in Denver last summer. Their franchises are just opening in Texas and are making their way up the California coastline. We drove up to Los Angeles for the Hits Deep tour hosted by Toby Mac featuring Mandisa, Matthew West, Matt Maher, and Brandon Heath. Joining together with so many talented artists in worship at The LA Forum filled my tank. Another highlight of the trip. 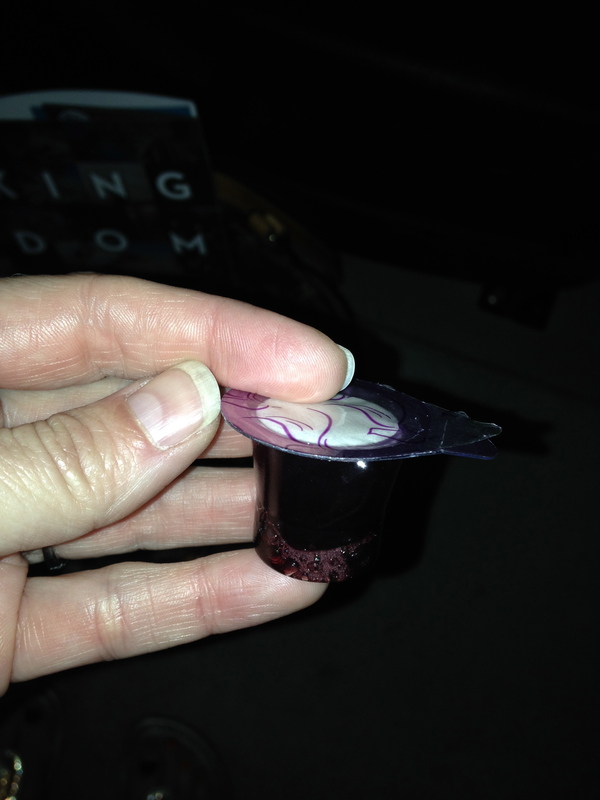 We found ourselves among the most life-giving congregation and pastor I’ve ever experienced. Rock Church is a mega church in Point Loma but we felt welcomed from the parking lot to the podium both Sundays we attended. The pastor, Miles McPherson, is an ex-NFL player with an amazing testimony. I plowed through his book, Do Something! and downloaded his app, Miles A Minute Devotions. Hisministryisanointed and we’ve been changed by his humble delivery of God’s truths. Sometimes life seems to unravel at Mach 1 speed. 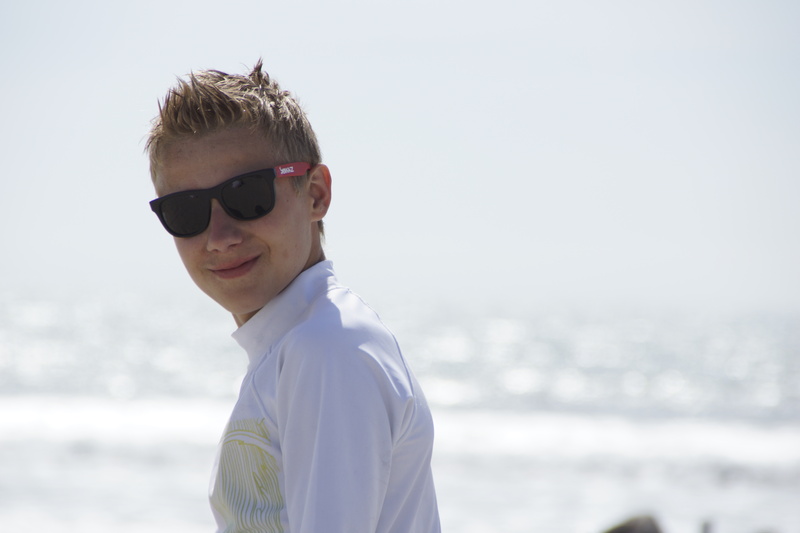 I needed this time in San Diego to have fun and rest. The salty air and humid climate helped heal my scratchy throat. The memories and all the laughter helped heal my soul. A combination worth repeating. 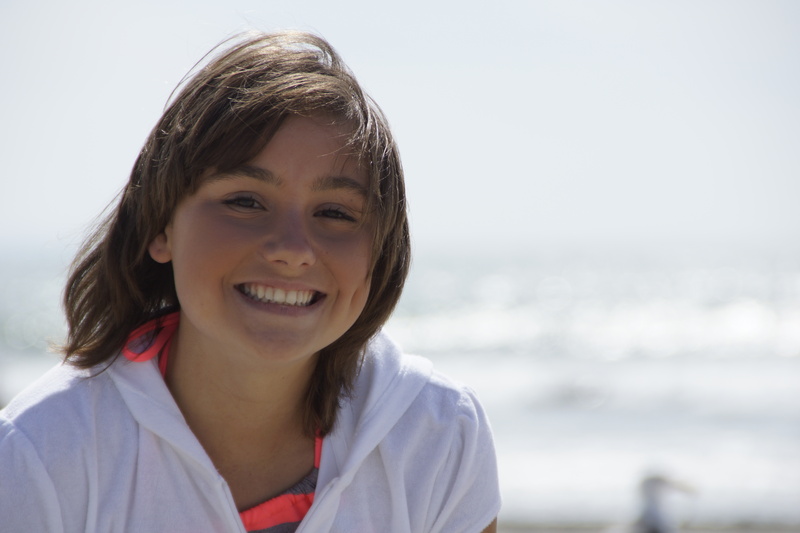 This entry was posted in Fifth-Wheel, Parenting, Purpose, RV, RVing, Travel and tagged beach travel, California, Matthew West, purpose, San Diego, travel by Natalie Lewis. Bookmark the permalink. I am having so much fun reading about your adventures. Smiling, laughing & yes sometimes cringing with you. Thank you Natalie. Love you guys. Sending prayers. My family homeschooled back in the day, and I wish we had had the freedom to do this kind of thing. Sounds like the perfect family time. Enjoy Newport Beach. It’s adorable. And the dolphins are amazing. Thanks. I’m grateful for this opportunity and trying to appreciate all aspects…even the frustrating ones! I have a friend who just announce that he would fill the four days he has between appointments in Mississippi and Los Angeles with a road trip that would include hitting ‘Nawlins’ Old El Paso, the Grand Canyon and the end of Rt 66 at Santa Monica Pier. I think it will be a challenge to drive to all of those places in four days, not to mention trying to do anything more than wave at them from the car window. The five months you have for this trip is truly a blessing, and all the frustrations in the world can’t add up to all wonders you will get to experience, with the most important people in your world at your side. Whenever the RV bathroom seems too small or the neighbors in the RV park are too loud…just remember how epic this adventure is. Oh Natalie, As I sit as my desk plowing through e-mails and juggling schedules, I am living vicariously through you.What a amazing and special gift this trip is for your family. Keep the stories coming! I’m just now starting to make it through your blog (now that I know where to find it). 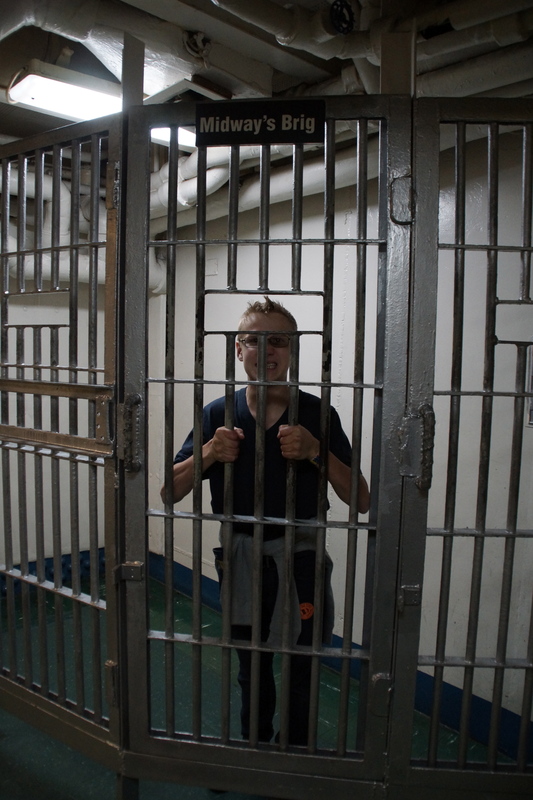 It’s great to get a different perspective on some of the events you’re encountering. 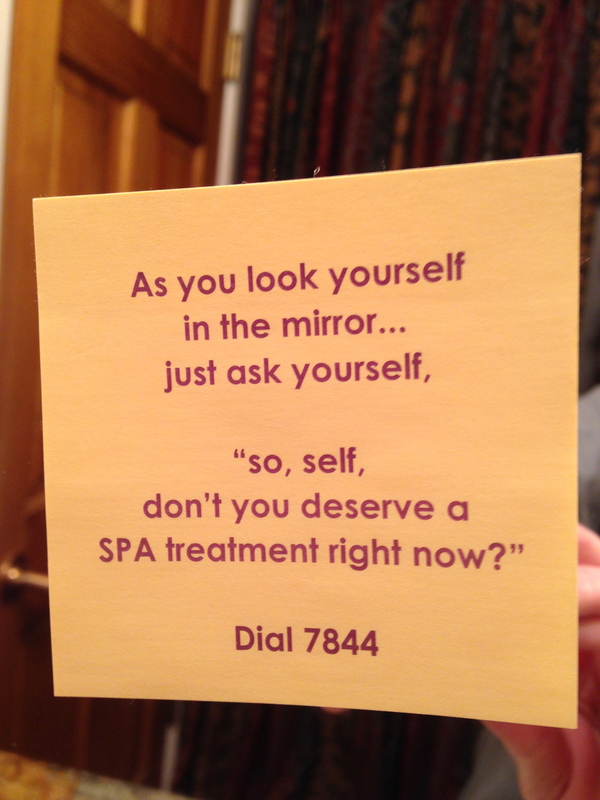 I hear many through text or phone conversations, but this gives different light to it. Glad the iPad app is working out, and don’t let John fool you — he is much more likely to listen to a woman’s voice than a man’s. Hey glad you found something to do while you’re traveling yourself! I’m honored that you’re taking the time to read my posts. I’d love your feedback. Thanks again for the RV wizard app. It’s a lifesaver!! Can’t wait to see ya this summer.